Select your 6 Brochures and save $2.50 per pack. 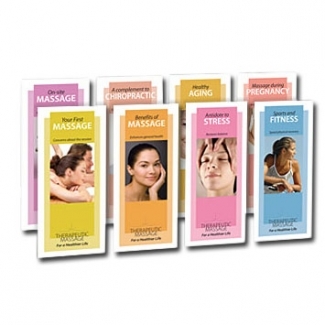 Select your 6 options above and save $15.00 on this Client-Education-Brochures 6 pack special. I ordered the six pack before. It was exactly what I needed for my business. It was very thorough in its explanation about massage and its benefits, and the presentation was very professional.